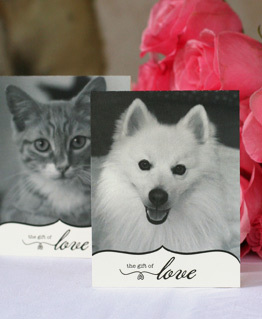 With “Gift Of Love” wedding favors, not only will your tax deductible donation give the gift of love and life to animals facing euthanasia at city shelters, it's a wonderful way to thank your guests for sharing this special day with you. 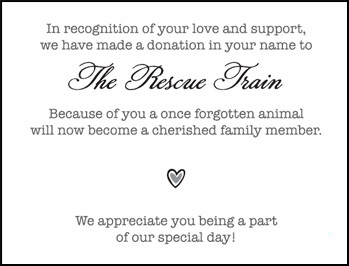 Each favor has a heartfelt photo of the dog or cat that has been helped in your guest’s honor and notification that a charitable donation to The Rescue Train has been made. 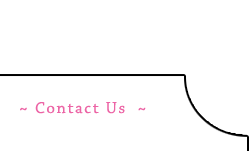 We have several elegant styles to choose from or you have the option of having custom favors designed. if you have any further questions please contact us at info@therescuetrain.org or call (323)899-5940 and leave a message. 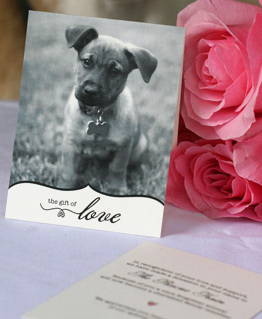 Thinking about including your dog in your wedding? Here are some helpful tips. Q: How much do “Gift Of Love” wedding favors cost? A: “Gift of Love” wedding favors are a minimum of $5 each for color or $3 each for black and white. Of course an additional donation is always welcomed. The Rescue Train runs solely on tax deductible donations. 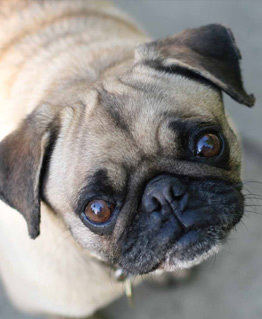 A: Donations from the “Gift Of Love” program are used to help save dogs and cats from euthanasia at city and county shelters and find them loving homes. 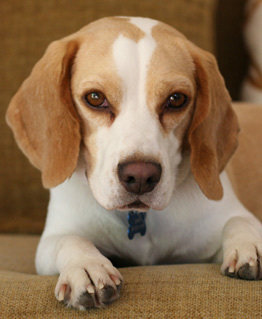 One hundred percent of the proceeds of this program go to help the animals in our care. They go towards boarding fees, vet bills, micro chips, vaccines and spay and neuter costs. The simple reality is the more funds we raise the more innocent lives we can save. A: Your friends and family memebers can make secure credit card donations online or contact us directly at (323)899-5640 if they would rather make their donation over the phone.